Oh! 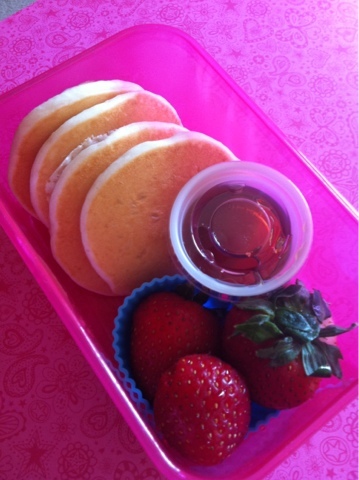 My Bento: Mood for pancakes! When I overslept and no time to think what to pack in kids lunch, this pancake lunch gets handy. It is quick to make, and kids always like those. Simple, but kind of cute, too. Right?